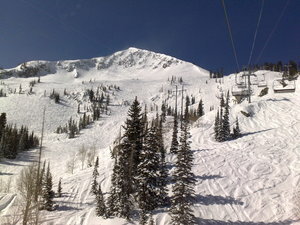 Brighton Resort in the United States (Utah State) is a medium sized ski resort with 7 ski lifts (7 chair lifts) that offers skiers an impressive 532 metres (1745 feet) of vertical descent. 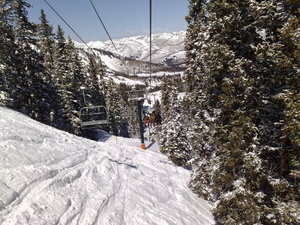 Brighton Resort has 1050 acres of terrain over 65 trails. 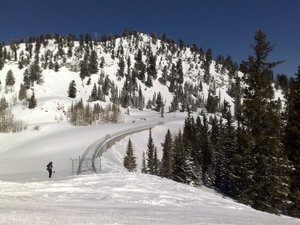 Brighton Resort is evenly suited for both advanced and intermediate skiers and snowboarders but with some terrain for beginners. We have no information about the existence of any cross country ski trails at Brighton Resort. For snowboarders, there are 2 half pipes. A small proportion of the trails at Brighton Resort are covered by snowmaking. The nearest airport is at Salt Lake City. Just moved to Utah and Brighton Resort truly does have the best snow on earth. Brighton has plenty of steep and challenging terrain, trees, cliffs, but still some excellent groomers if you are just out for a joy-ride.